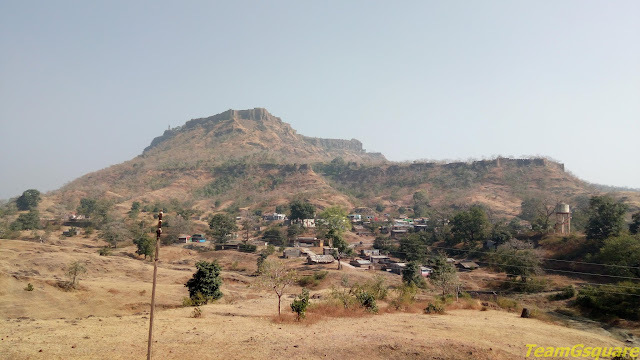 Asirgarh, a hill fort in Burhanpur of East Nimar district, Madhya Pradesh is located in the Satpura range, 259 meters high from the base and 696 meters above sea level. 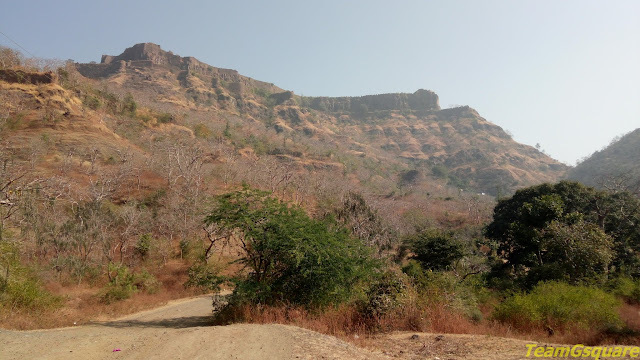 Asirgarh was an invincible fort of the medieval times covering an area of 60 acres at the summit of the hill. 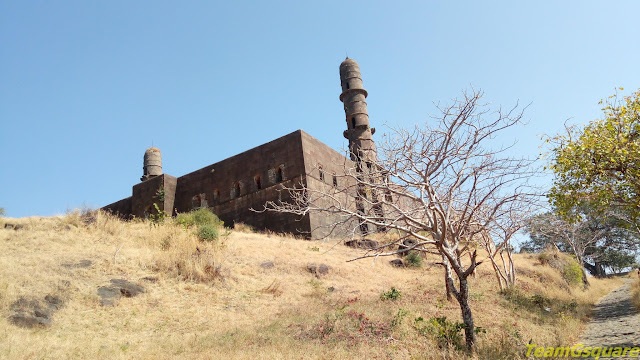 The fort was regarded as the gateway to the Deccan and the emperor who had the authority over the region not only had access to the Deccan region but also had a control over land and water routes and could regulate the inland and foreign trade that resulted in a prosperous economy. The west side of the hill is well defended by three lines of defenses namely, the lower most Malaigarh, middle most Kamargarh and the top most Asirgarh. 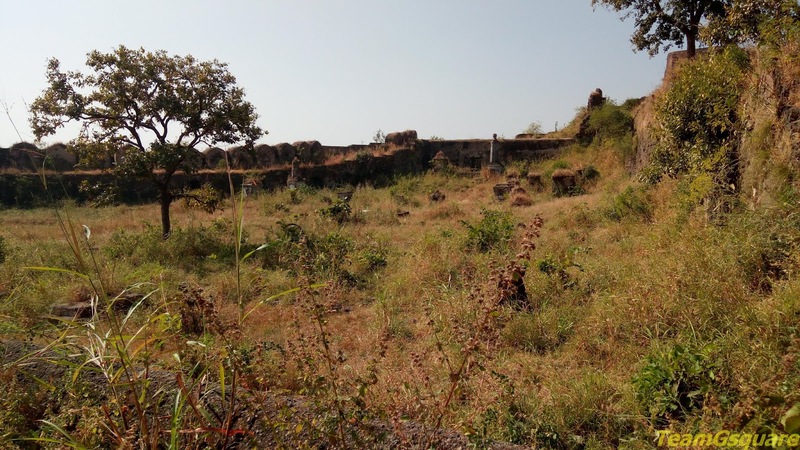 Over time, the fort was ruled by many dynasties and the fortification was strengthened. The fort comprising of strong walls and bastions had mainly seven gateways. Asirgarh fort finds a mention in the epic Mahabharata as Ashwatthamagiri. 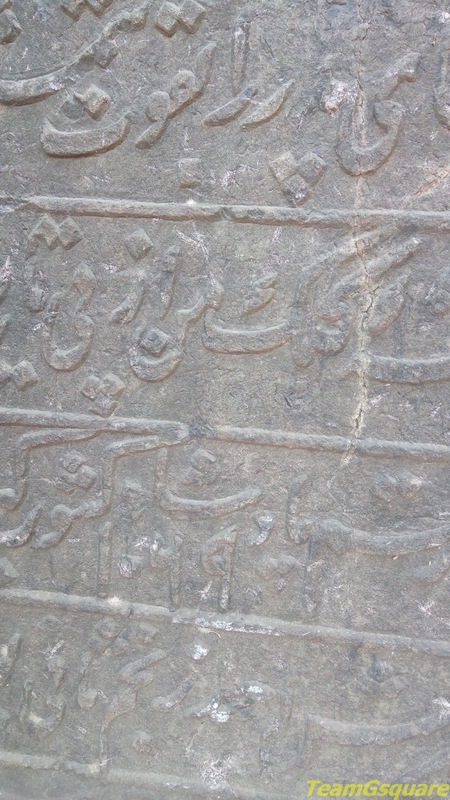 Firishta (Persian historian) derived the name of Asirgarh from Asa Ahir, to whom he attributes the foundation of the fort; but this is speculative as the name Asir is repeatedly mentioned by the Rajput poet Chand. 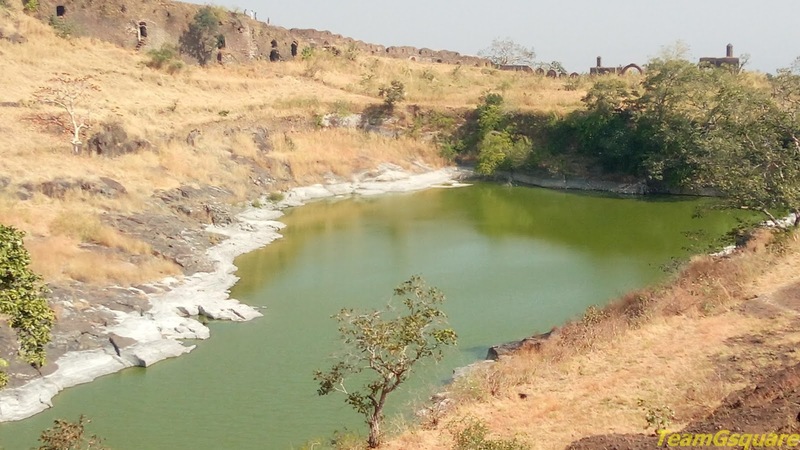 It may have come from the Asi or Haihaya kings who ruled the Narmada valley from Maheshwar. 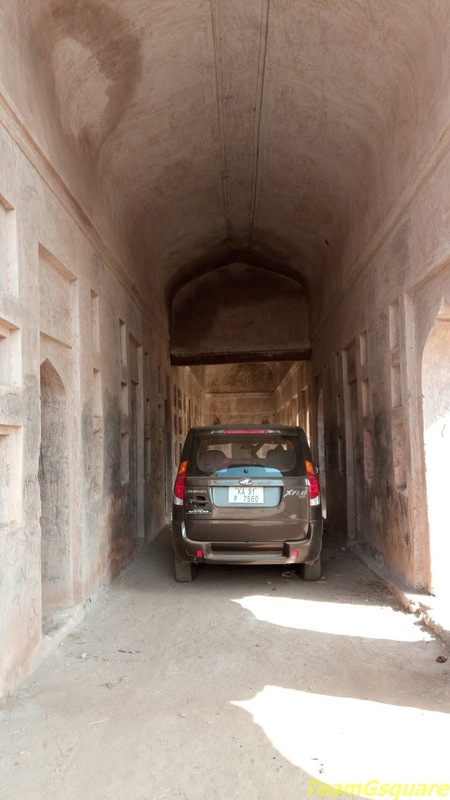 The literary sources proclaim that from 9th to 12th century, the fort was under the dominion of Tak and Chauhan Rajputs. 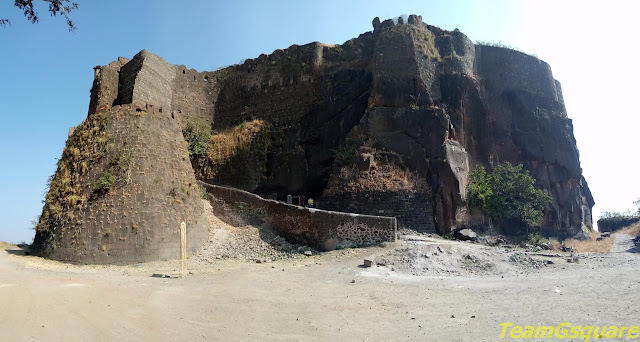 In 1295, the fort was a stronghold of the Chauhan Rajputs and was captured by the Sultan of Delhi, Alauddin Khilji after retreating back from his Deccan campaign. Later in 15th century, the fort was held by the Faruqi kings of Khandesh and taken by the Mughal emperor Akbar in 1600 who opened the gateway to the southern India. 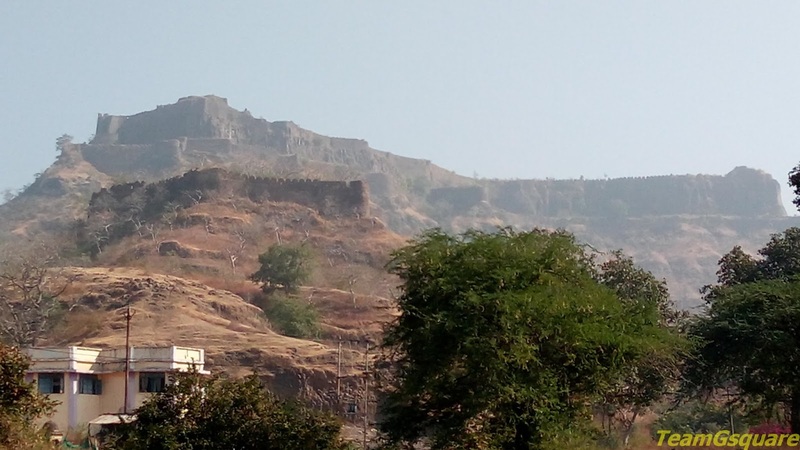 After the decline of the mughals, the fort was controlled by Nizam, Peshwa, Scindia and Holkar. In 1904, the fort was transformed into a British cantonment under the command of General Doveton. The legendary freedom fighter of Sambalpur (Odisha/Orissa), Veer Surendra Sai along with his family members and followers were brought here against the charges of revolutionary movement against British. They were kept here as state prisoners until the death of Veer Surendra, after which the rest were released. The Persian inscriptions of Akbar, Shah Jahan and Aurangzeb found here speak volumes about their association with this fort. The Jama Masjid was constructed by the Faruqi ruler Adil Shah IV in the year 1590. 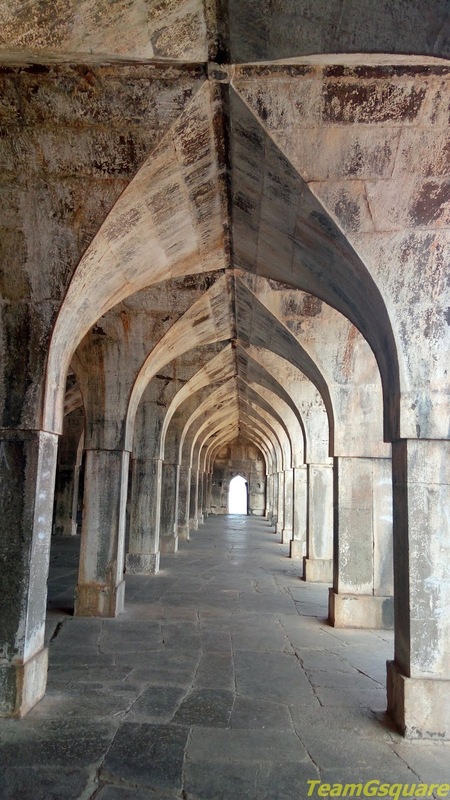 The masjid is entered by three elevated arches that open into a quadrangular courtyard that is surrounded by elevated arcaded colonnades (a series of arches supported regularly spaced columns) on three sides with a prayer hall on the west. The arched cloister of the prayer hall has a qibla at its center. The two ends of the prayer hall are supported by two lofty minars. On the southwest side of the fort, structures, cells and cemetery of the British period is present. These underground cells were for the prisoners made captive by the British. Topographically, the hill was a natural barrier for the intrusion and extrusion that resulted in a difficult prison break. Apart form many patriots, revolutionaries of kuka movement headed by Guru Ram Singh were also detained here in the year 1872. 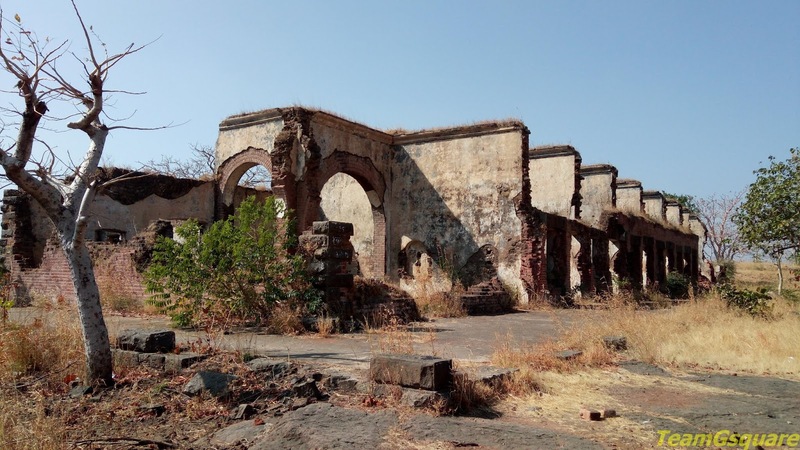 Of the kuka revolutionaries, Rur Singh and Pahar Singh died during their confinement whereas Muluk Singh, during his last days was sent back to Punjab in the year 1886. 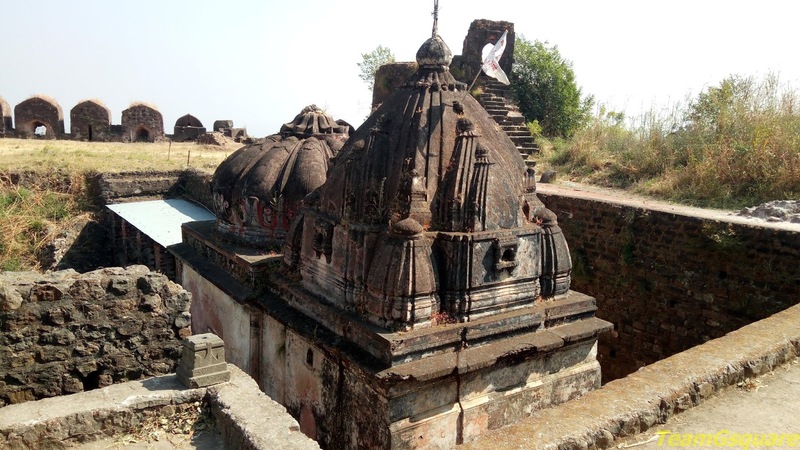 The legend says that, the son of Guru Drona, Ashwatthama of Mahabharata worships this ancient Shiva temple every day. 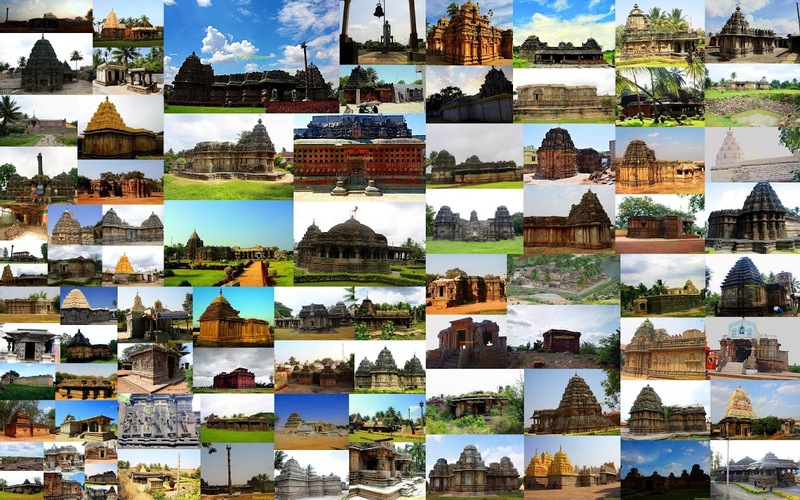 The temple was constructed in 18th century in the Maratha style of architecture. The temple comprises of a garbhagriha and a mandapa. Close to the temple are a baoli (well) and few rock-cut cells and passages. 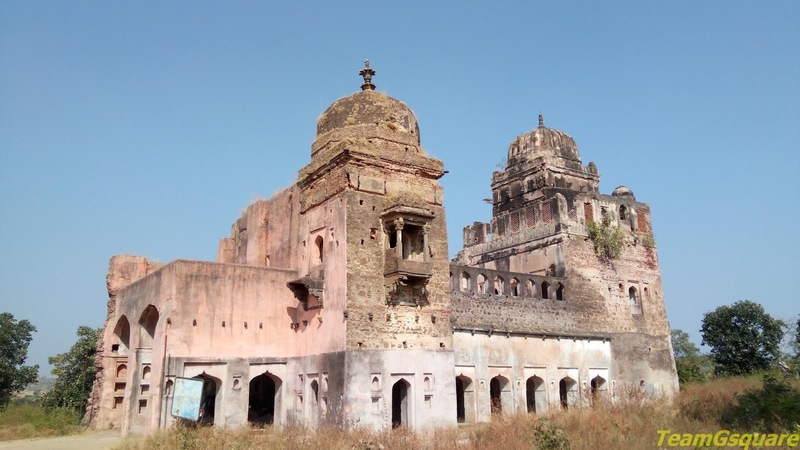 The beautiful palace of Moti Mahal was built by Shah Jahan, which is now in ruins and neglected. This two storeyed palace was built for his beloved wife Moti Mahal, where he spent private time with his queen. 4. Imperial Gazetteer of India. Nice narration. Looks like a good place to visit. Excellent coverage. The place looks majestic! Great shots of the mountain fort. 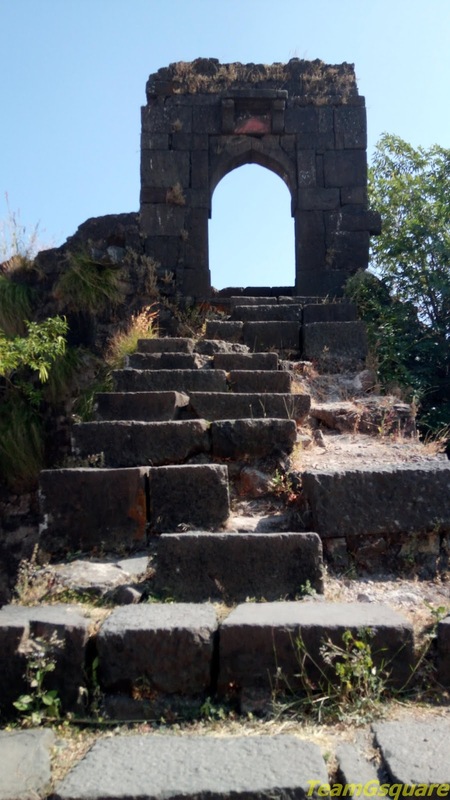 It is good to see at least some of the ruins. Very impressive work. But, such sights also make me sad for the amount of vandalism they have undergone by the ancient attackers and the modern day ignorance. Nice work.I must appreciate. But at the same time I want to add that the legendary freedom fighter of Sambalpur, Odisha Veer Surendra Sai and others 7 were kept in Asirgarh since 1864. One of his brother and only son were released after 12 years but Surendra himself,two of his brothers and other three means total 6 fighters were breathed their last at Asirgarh. Surendra died on 18th February 1884. In his life time Surendra remains in jail for total 37 years. He fought against the British for 20 years, capture by treachery.